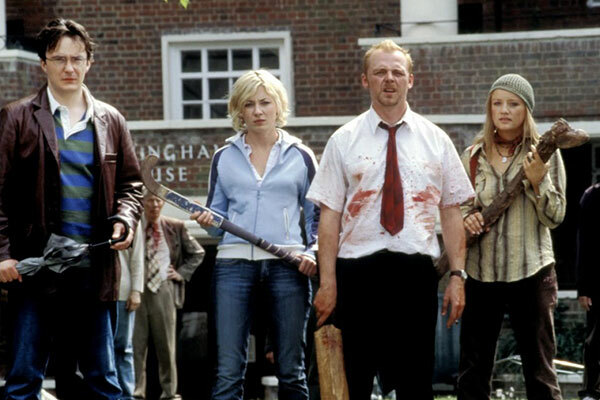 Coming off of their British TV cult hit Spaced, director Edgar Wright and stars Simon Pegg (who co-wrote) and Nick Frost hit the geek culture sweet spot with their career-making 2004 “zom-com” Shaun of the Dead. As the title makes obvious, the film is a loving homage to the George A Romero zombie movies, with the added twist of it being, in essence, a romantic comedy. Pegg plays an endearing but frustrating 30 something slacker whose devotion to his even more emotionally stunted best friend (Frost in a breakout comedic role) is getting in the way of his already on-the-ropes relationship – and that’s all before the zombie apocalypse breaks out. Wright – in his first feature film – proves himself a director to watch; employing the playful zooms, whip-pans and comedy action cops of a young Sam Raimi, juggling the gross-out gags and gore effortlessly with well-earned emotional beats, forging his own unique artistic voice – one that has since earned him a Hollywood career, a legion of fans and the admiration of peers Quentin Tarantino and Robert Rodriguez. Howard Deutch’s Pretty In Pink occupies a deserved place in the top tier of high school romantic comedies, thanks in no small part to a script from the king of 80s teen movies, John Hughes. It’s also thanks to the winning “brat pack” cast, including everyone’s red-headed Reagan-era crush Molly Ringwald, quintessential friendzone nerd John Cryer and dreamy, dreamy Andrew McCarthy as the wealthy boy not-so-wealthy Molly pines for. Another crucial feature is the film's New Wave heavy-hitter soundtrack (Psychedelic Furs, OMD, INXS, Echo & the Bunnymen, New Order, The Smiths), a chart-topper that left a pop culture imprint almost as deep as the film itself. But one of the lesser celebrated aspects of Pretty In Pink is the understated performance of the late Harry Dean Stanton in a rare father figure role that showcased his soulful, melancholy warmth. Also starring Annie Potts, Kristy Swanson and perennial 80s jerk James Spader. 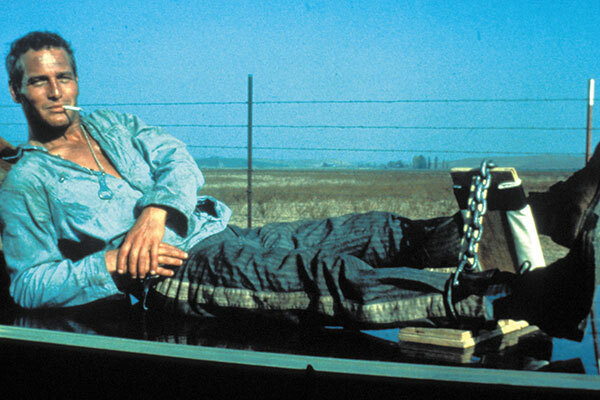 A seminal prison film that set the template for Shawshanks to come, Stuart Rosenberg’s Cool Hand Luke also cemented Paul Newman as a major box office draw of the 60s and 70s and earned him the status of Hollywood icon. Set in the 1950’s and based on Don Pearce’s novel (he also co-wrote the screenplay), the story focuses on Luke, a chain-gang prisoner at a Florida prison who refuses to give in to his cruel jailors, despite suffering grueling punishment as a result. “Old Blue Eyes” Newman is indeed stellar, bringing his cool, chiseled charisma to the rebellious lead role, his wattage matched by George Kennedy as a hardened inmate leader Luke befriends, a role that would win Kennedy an Oscar for Best Supporting Actor. A film perfectly timed for an America waking to the harsh reality of the Vietnam War, Cool Hand Luke served as a counter-cultural touchstone and gifted us the oft-quoted line, “What we have here is a failure to communicate.” With a score by the great Lalo Shifrin.